For the past few weeks Nicki Minaj has been very vocal about how heartbroken she is over her split from her boyfriend of 14 years, Safaree Samuels. She has however always tried to keep their relationship out of the spotlight but it looks like that has changed. With revealing song lyrics and now a twitter rant, people are getting a closer look at what has been Nicki Minaj’s love life. 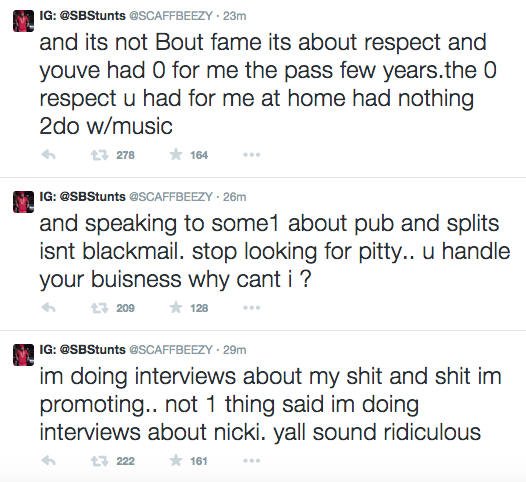 The rapper posted a series of tweets on her page today that got social media buzzing. 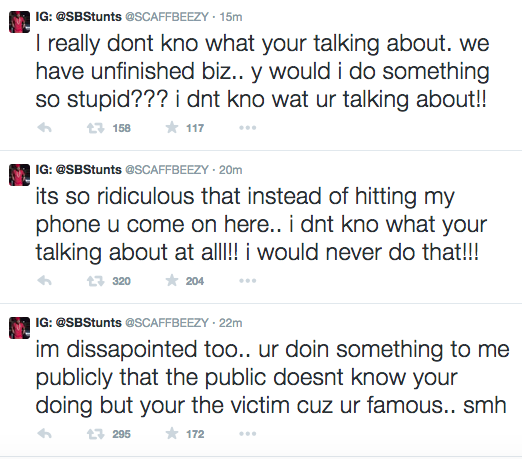 In her tweets she insinuates that someone is blackmailing her with videos and it is someone that she has loved. 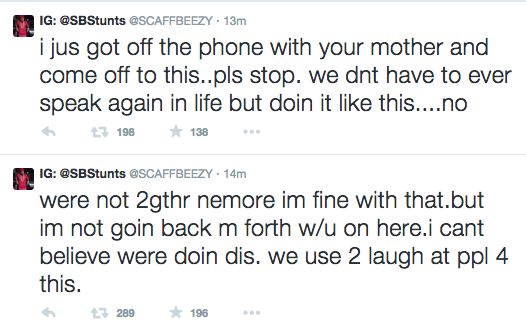 Safaree Samuels immediately took to his twitter page as well to debunk her tweets.